Music at St. Mary’s is offered for the glory of God. We understand that music has the power to reach people on an emotional and psychological level that the spoken word cannot. The musicians at St. Mary’s strive to harness the many gifts of music to reinforce and give a better understanding of the readings of the day as well as to inspire and touch people’s lives. The Choirs of St. Mary’s draw from the wealth of the Anglican Choral tradition. Our continually expanding repertoire ranges from plainchant to composers of our modern day. We consider ourselves fortunate to be Episcopalians who have inherited such a fine musical tradition and draw inspiration from this rich heritage as we offer our own thanksgiving and praise. 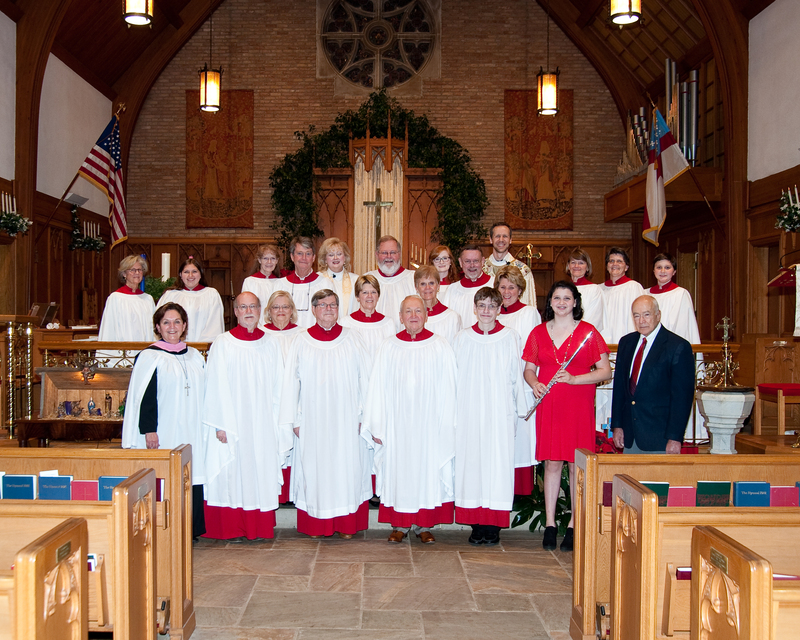 Adults sing for the 10:30 a.m. Sunday Eucharist (10 a.m. during the summer) and at Festive Services throughout the year. Rehearsals are on Tuesday evenings at 5:30 p.m. September through May. Children rehearse seasonally on Wednesdays at 5:45 p.m., September through April, prior to St. Mary’s Parish Family Dinners. These choristers add a note of joy and exuberance on special occasions. Boar's Head Festival Chorus rehearses the first Wednesday of December at 7:00 p.m. and, on the weekend of the Festival, participates in the Friday 7:00 p.m. Walk-Through and the Saturday 9:00 a.m. Full Dress Rehearsal. Instrumental Musicians also add to the worship experience at St. Mary's on occasion. If you play an instrument, or know of a musician whose gifts would glorify God and help the faithful worship, please contact Mrs. Sharon Veitch at 523-6146.